All of the products offered here are proudly manufactured in the USA from recycled materials. Every product is tested to ensure that it will withstand typical weather conditions and still stand strong. 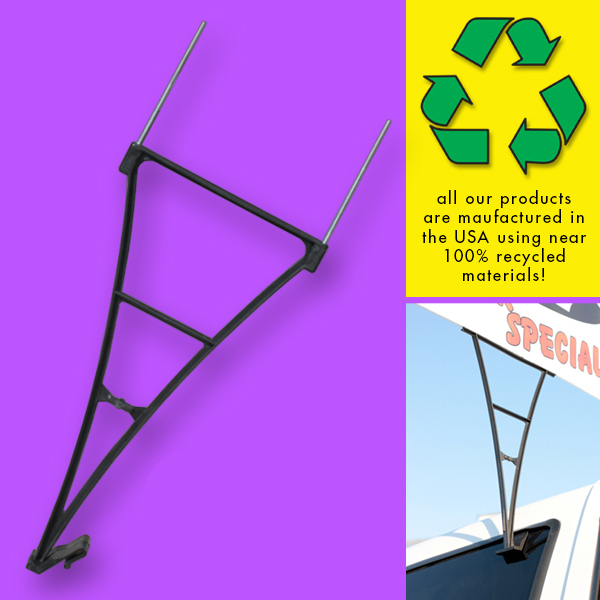 Our products have been designed to be light weight and very efficient and inexpensive to ship. “Simplicity is elegance.” This Table Top Stand is designed for indoor table- and counter-top use. This brand new item is an extremely low-cost, compact, patent-pending design that supports the much smaller versions of corrugated plastic and cardboard sign faces. Perfect for displaying counter top courtesy signage, such as: “This Window Closed”, “Brake Inspection Special” or other similar sign. 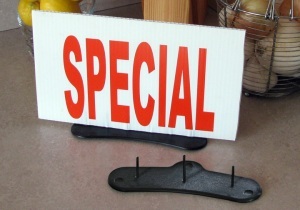 This small and simple sign stand is effective and a great value for a low cost. These Window Clip Sign Holders are designed for easily sliding onto most any car or truck window. Car dealer’s love this high-impact tool because they’re inexpensive — especially when compared to a magnetic corrugated plastic roof-tent. Whether parked in the street or in a driveway, real estate agents use them on their car to draw attention to the open house they’re hosting. These are just a few examples of how our innovative products can be marketed to your customers. Use your imagination — it works! Window Clips are lightweight and durable, and made to be used over and over again. 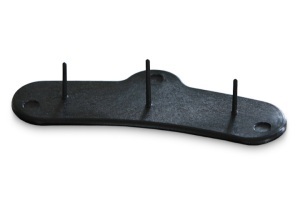 To assemble, you simply insert the prongs into the core of a pre-printed corrugated plastic sign. View many other products at our Real Estate Directory for signs, frames, posts, stands.